"Tech. Cars. Machines." 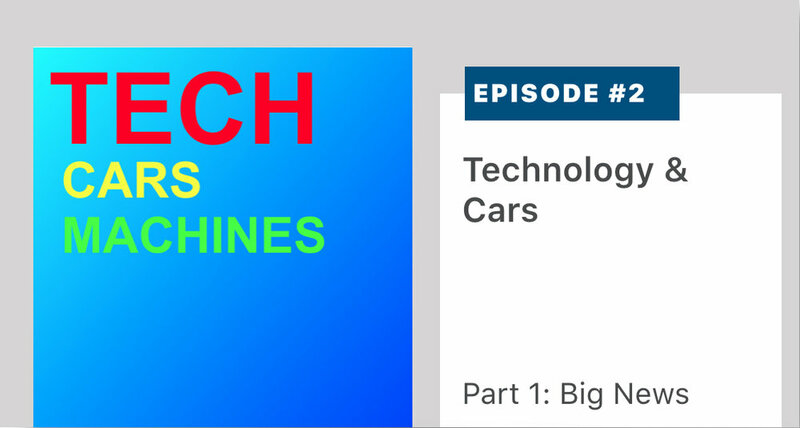 podcasts and articles explore the influence of sensors, connectivity and software analytics on vehicles and equipment. Listen on the Apple Podcast app, on other apps and devices, or listen below. Episodes have transcripts. Subscribe to publications here. 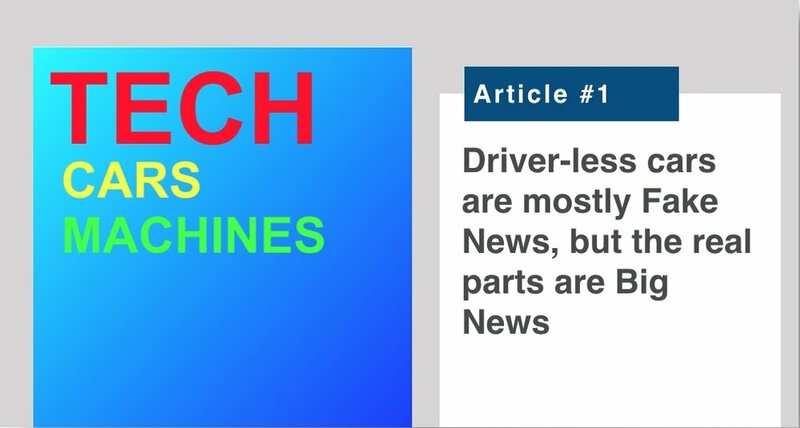 Listen to A. Charles Thomas, PhD., Chief Data & Analytics Officer of General Motors discuss how data analytics are influencing every part of GM. Charles describes his objectives, processes and success metrics for bringing a “data centric” approach to the ogranizations where he has led data analytics, including GM, Wells Fargo and USAA Insurance. A raw transcript is here. Mamatha Chamarthi, Chief Digital Officer of $40 billion Tier 1 auto supplier ZF Group of Germany, discusses her approach to infusing ZF with digital innovation, and the influence of autonomy, connectivity, electrification and sharing. Listen or read a transcript here. CES was kind enough to reach out to us, suggest we record an episode from the floor of the 2019 CES show, and offer us studio space. 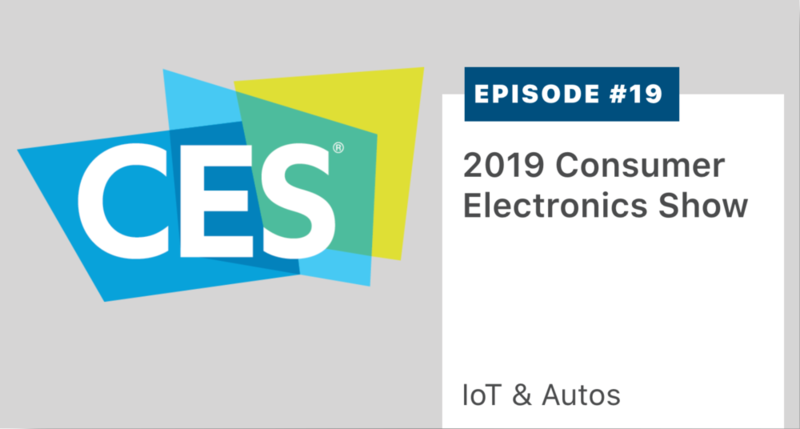 Hear our reflections on CES as an event, as an auto show, and as a consumer electronics show. We chatted with the CEO/Founder of May Mobility (autonomous shuttles) and the VP of Strategy for NovuMind (AI chip). A player and transcript is here. EV adoption will threaten automotive profit distribution sooner than expected and much sooner than unit volumes would imply. Tesla has brought about this and many other large but less-noticed changes & threats. The Company has been afforded unprecedented (and sometimes counterproductive) latitude by customers, investors & the media. Listen or read a transcript here. Swamy Kotagiri, Chief Technology Officer and also the President of the Power & Vision Division of $40 billion Tier 1 auto supplier Magna, discusses the future of transportation and the influence of autonomy, connectivity, electrification and sharing. Listen or read a transcript here. Bill Ruh, Chief Executive Officer and founding executive of GE Digital, describes the genesis, product portfolio and lessons learned in establishing the leader in the industrial Internet of Things. Listen or read a transcript here. Behrooz Abdi, Chief Executive Officer of TDK InvenSense, describes why decades of innovation remain in MEMS sensors. 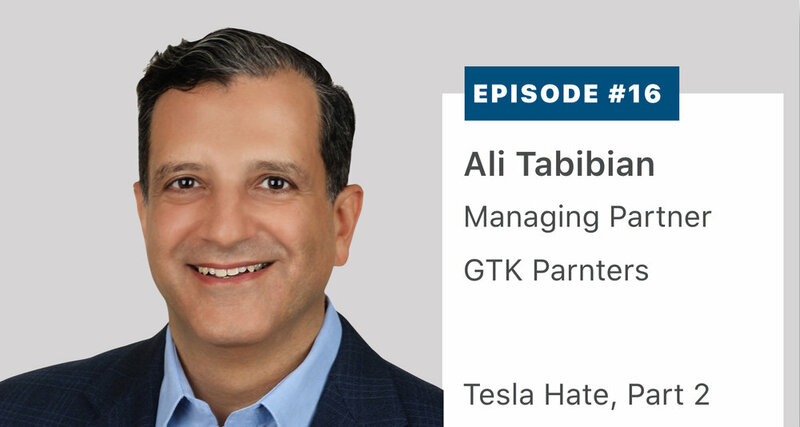 Behrooz describes why the acquisition of public company InvenSense by TDK was the right decision from a technology and manufacturing perspective. Listen or read a transcript here. 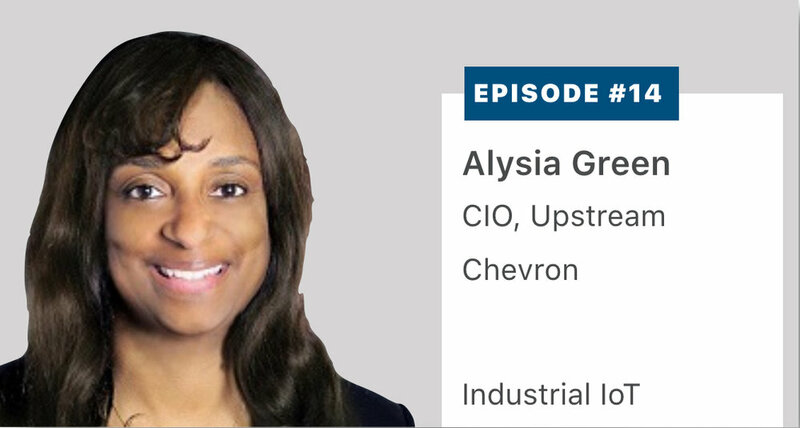 Alyia Green, Chief Information Officer of Chevron's exploration business, describes the interaction of IT and Operational Technology and the practical solutions derived from today’s Big Data and artificial intelligence technologies. Listen or read a transcript here. Y Combinator 2018 Winter Event graduates Mike and Jack Ross, co-founders of Beanstalk, describe the role of LED lighting and 3D printing robotics in indoor farming. Listen or read a transcript here. Mark Farrell, the Mayor of San Francisco, explains why he organized a meeting with autonomous vehicle companies such as Zoox and GM Cruise, and municipal first responders. How do municipalities view ride sharing, autonomy, and electric scooters and bikes? Listen or read a transcript here. Eddie Amos, Chief Technical Officer of GE Digital, explains the rationale for GE Digital's acquisition of Meridium. He describes how Asset Performance Management and other technologies allow customers to digitize their operations and optimize maintenance. Listen or readh a transcript here. Chuhee Lee, Vice President of Technology and Strategy, Volkswagen Group of America's Electronic Research Laboratory, explains how his team's research influences the user experience in the 11 million vehicles that VW Group sells every year. Listen or read a transcript here. 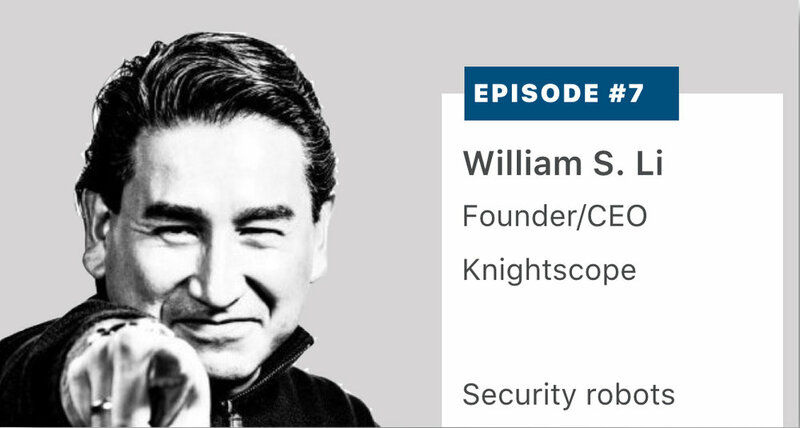 William Santana Li, Founder and CEO of Knightscope, and a Ford Motor Company veteran, describe how he’s raised $40MM without venture capital to build the leading autonomous security robot company. Listen or read a transcript here. Y Combinator 2018 Winter Event graduates Igino Cafiero and Aubrey Donnellan, co-founders of Bear Flag Robotics, describe their approach to automating tractors that service orchards and other GPS-denied and organic environments. Listen or read a transcript here. Josh Switkes, CEO and co-founder of Peloton Technology,describes how his company enables safe tailgating between trucks, helping the industry save fuel and improve safety. Understand how the company raised $80MM from the likes of Intel, UPS and Volvo. Listen or read a transcript here. What is the purpose of Tech. Cars. Machines. and why should you listen? Listen or read a transcript here. Craziness on the roof, unshapely warts all around, lots of stuff in the trunk. We explain self-driving car components, why you probably shouldn't pay Tesla for "Full Self Driving," and why you should invest in niche opportunities, high-performance vendor offerings, or where cost/form factor is already consumer-ready. Read here. EV adoption will threaten automotive profit distribution sooner than expected and much sooner than unit volumes would imply. Tesla has brought about this and many other large but less-noticed changes & threats. The Company has been afforded unprecedented (and sometimes counterproductive) latitude by customers, investors & the media. Read here.